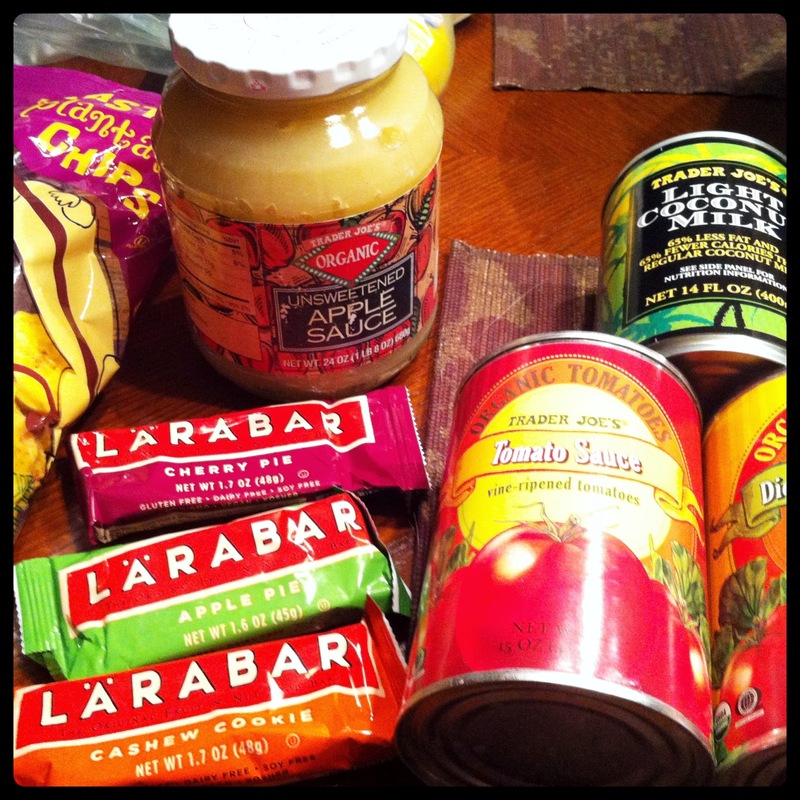 I went to Trader Joe's! 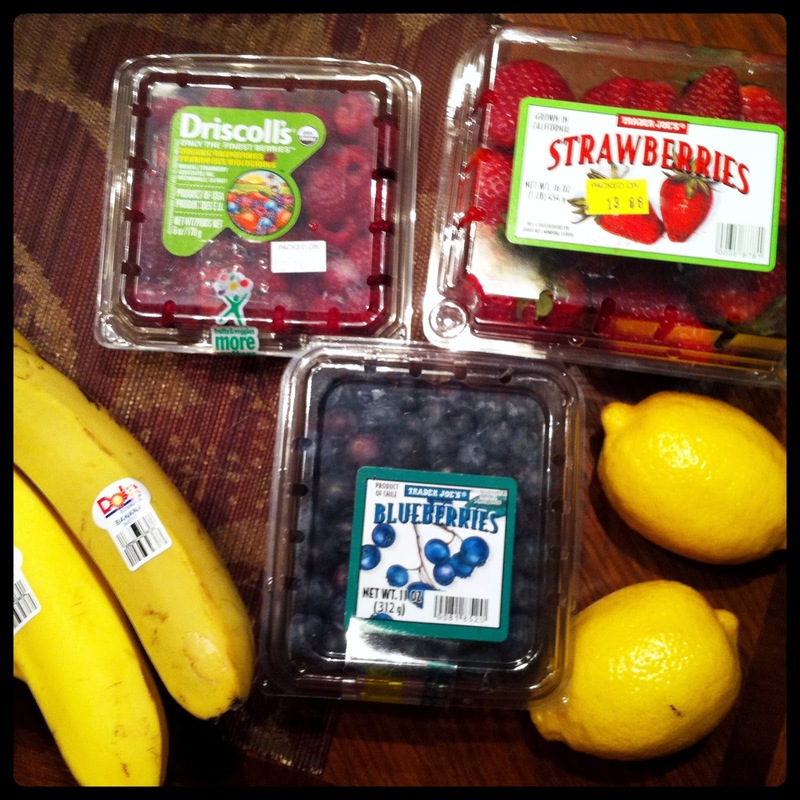 :) And now I'm here to share what I picked up~ all Whole30 friendly (which can get tricky). Before heading off to the store, I write a list organized according to the sections of the grocery store. Nerdy? Maybe... but it makes my trip much more efficient. I try to think about each meal of the day + snacks, and what I can easily prep into meals to keep ready-to-go in the fridge. I'm back in full swing of my crazy schedule for my last semester of grad school... finishing off strong with a full time internship during the day, followed by night classes & a 45-minute commute each way. Surprisingly, completing a Whole30 & staying on track with my eating habits has become very easy- even while constantly on the go. I've found that by choosing the right items at the grocery store, I can have quick tasty meals that are convenient for grab & go during my hectic week. Organic Free-Range Chicken Thighs~ I bake these with a ton of spices & ghee (clarified butter), then eat on my salads for lunch. Garlic Herb Chicken Sausage~ One of the few sausages at Trader Joe's with no added sugar or bad stuff; therefore Whole30 friendly. Great with breakfast or dipped in spicy brown mustard. Ground Turkey~ I switch off between this & ground beef so I don't get burnt out on either one. 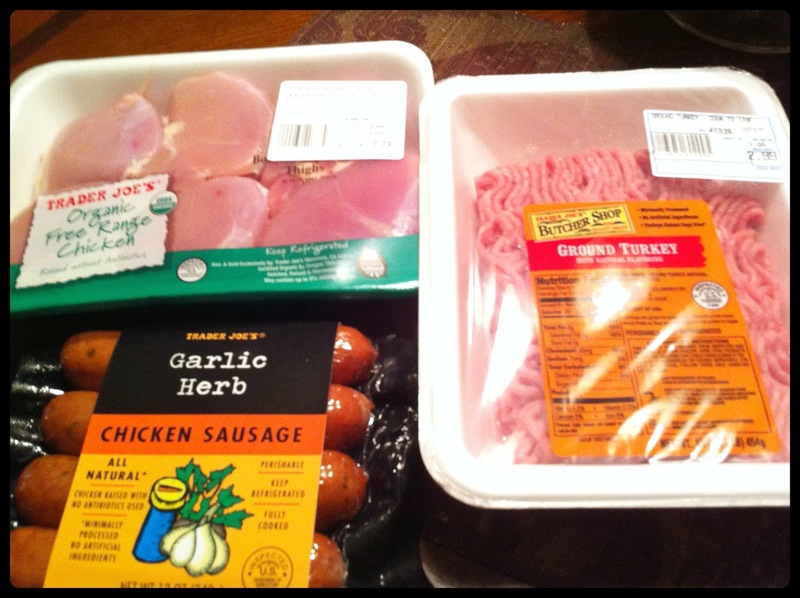 I used this in my crockpot chili & also like it for meatballs/meatloaf, veggie-loaded turkey burgers, & meat sauce! Cruciferous Crunch~ This is a blend of shredded broccoli, kale, red cabbage, & brussels sprouts. I like it sautéed with garlic as a side dish or mixed in with salad greens for crunch. Broccoli Slaw~ A mix of shredded broccoli & carrots perfect for adding flavor & vitamins to your salads. Mini Heirloom Tomatoes~ Super sweet & delicious! I like them on my salads & as a snack. Sweet Potatoes~ Can't live without. I microwave mine, then top with coconut oil, cinnamon, & a pinch of sea salt... tastes like dessert! Raspberries, Blueberries, Strawberries~ I cut up the strawberries, then washed & dried these. I keep them stored in a large bowl & eat a serving each morning with my breakfast. Delicious! Great for dessert too. Bananas~ I buy mine perfectly ripe, then slice & freeze right away. Great to have on hand for snacking, mashing, blending, etc. Lemons~ These are my "condiment" of choice. I use lemons to dress my salads & seafood, and love them sliced in water or tea. Roasted Plantain Chips~ These were my treat for the week :) The ingredients are plantains, sunflower oil, & sea salt (not bad!) & they have a savory flavor (unlike banana chips). Would be great with guacamole! Unsweetened Apple Sauce~ Do yourself a favor & skip the cups... the straight up jarred sauce tastes the best! Larabars~ The best snack ever. I got Cherry Pie, Apple Pie, & Cashew Cookie (their flavor selection is sad). 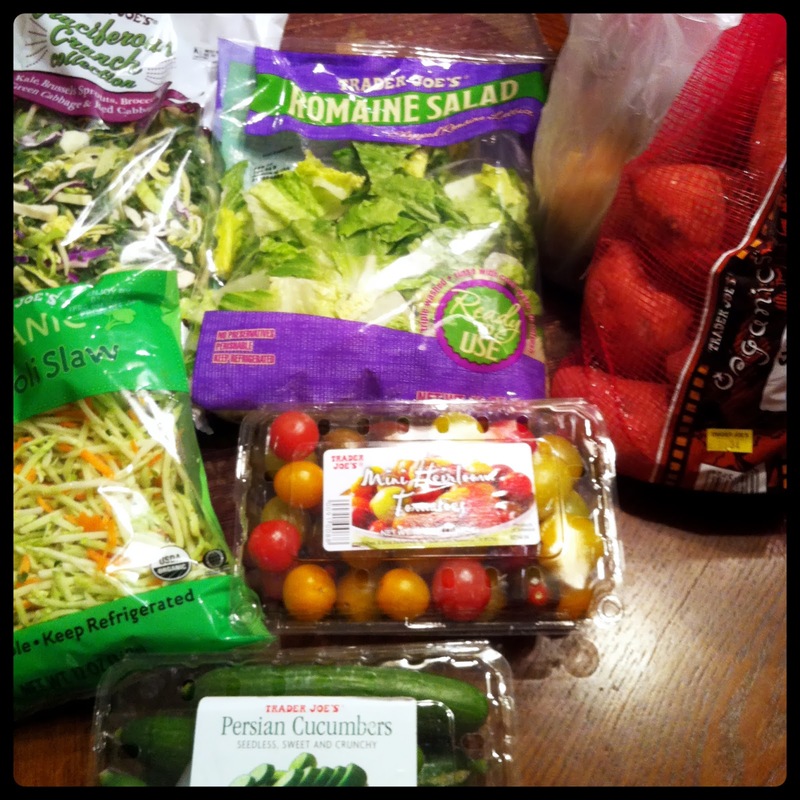 Organic Diced Tomatoes & Tomato Sauce~ Picked these up for my "All-American Crockpot Chili".. dinner done for the week! Light Coconut Milk~ This goes into a mason jar in the fridge & is my go-to coffee creamer. Let me know if you pick any of these items up! Also, if you're in the market for a new body lotion... Trader Joe's brand "Midsummer Night's Cream" is an amazing unscented lotion with good ingredients! Give it a try! I can't remember... Did you just change your diet cold turkey or did you start easing your way into it? @Susan~ Grocery twins! :) How fun. I love the idea of roasting the Cruciferous Crunch... definitely going to give that a go! Thanks for the tip. do you have a chili recipe for whole 30? I do! Search for "All-American Crockpot Chili"... it's my favorite! realize huge savings. Below I list 12 ways to reduce your food costs without coupons. 1.Save money with breakfast cereals. 2.Save on juice costs by purchasing juice concentrates. 3.Take advantage of bakery outlets. 4.Take advantage of ethnic food markets. 5.Try the store brands, risk free. improving your health and achieving your weight loss/fat loss goals. Sunflower oil is in the "limited" list, and not in the never oil list. So, I believe the plantains are fine in moderation. I would like to try out the whole 30 diet but I thought coconut milk was off limits? Such yummy ideas. Thanks for giving us a peek at what you purchased. I would definitely have those roasted plantain chips.